Kiss, America’s No. 1 Gold Record Award winning group of all time in every category, has a stunning catalog of rock ‘n’ roll classics. The release of Kissworld – The Best Of Kiss comes just in time to mark the anniversary of the band’s first ever show performing on January 30, 1973 to no more than 10 people in attendance at Popcorns, a small club in New York, as well as celebrating the global superstar band as they launch their 2019 End Of The Road final tour at an eighteen-thousand seat major arena on January 31 in Vancouver. 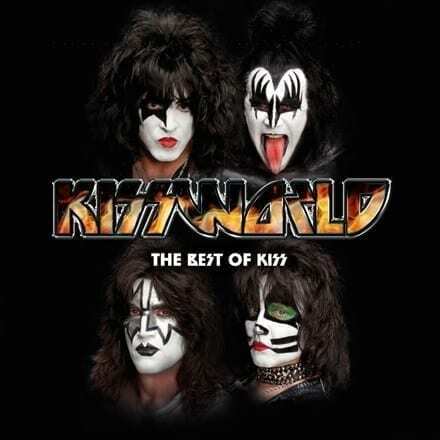 Kissworld brings together 20 of their best-loved tracks together on one album. Iconic fan favorites such as “I Was Made For Lovin’ You,” “Rock And Roll All Nite” and “God Gave Rock ‘N’ Roll To You II” alongside top 10 U.S. chart hits “Beth” and “Detroit Rock City” in one huge collection.